I’m so excited to share with you my holographic polishes by Nfu Oh. 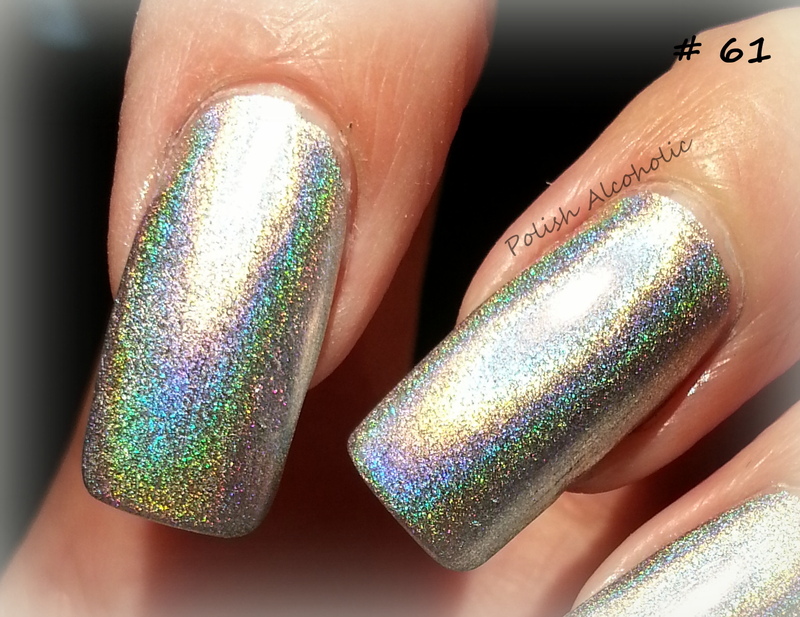 If you love holo’s as much as I do, you really need to scroll down to check out these beauties! I’ve used 3 coats without base- or topcoat. I’ve heard that Aqua Base by Nfu Oh is a must under these holo’s. Does anybody have experience with that? I’m curious if that increases the holo effect. I didn’t use topcoat because I’ve read that it ruins the holo effect. Enough talk, let’s take a look at these gorgeous holo’s. 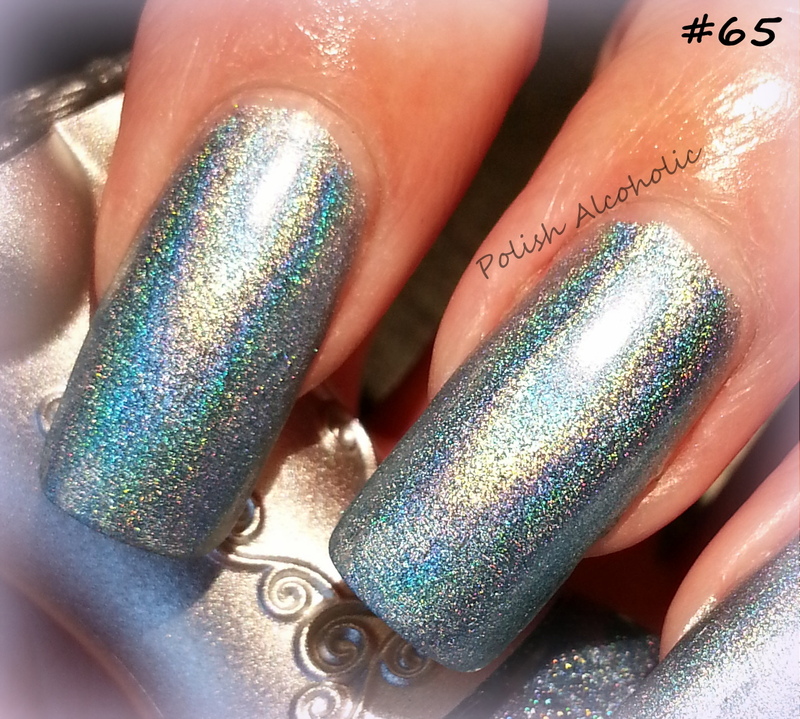 This entry was posted in Nfu-Oh and tagged aqua base, holo, holographic, holographic nailpolish, nail polish, nfu oh, nfu oh 61, nfu oh 62, nfu oh 63, nfu oh 64, nfu oh 65, nfu oh 66, nfu oh swatches, swatch by Polish Alcoholic. Bookmark the permalink. I’ve actually found that the aqua base really makes the holo shinier, almost like adding a top coat but without detracting from the sparkle. When I wore mine, they looked almost matte without the aqua base. It also made them last a little bit longer. I only own the blue one though, so I can’t speak for the others! Love love love, the Nfu oh holo’s!